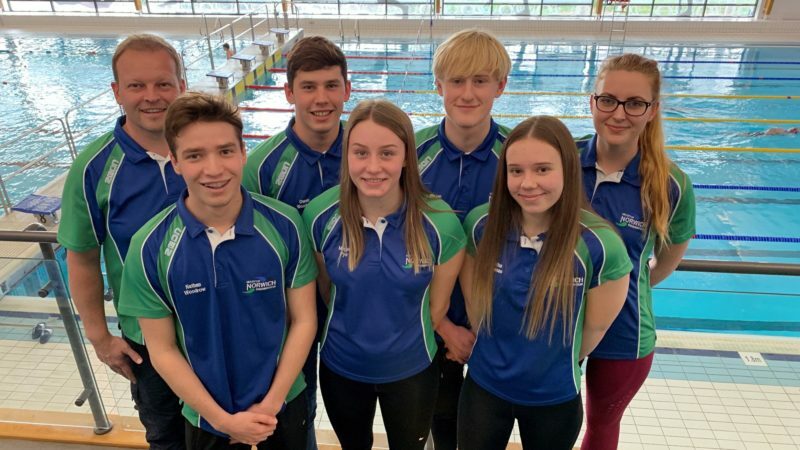 6 City of Norwich swimmers are making their final preparations for next weeks Swim England Winter Nationals which are held in Sheffield next week. 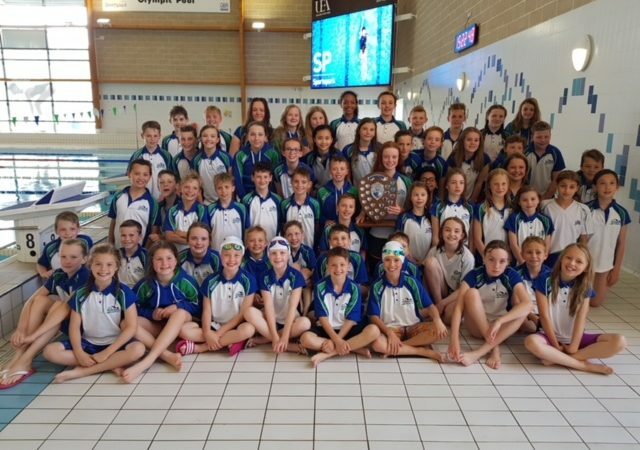 The championships are the final competition in 2018 and are raced in a ’short-course’ 25 metre swimming pool. There are only 2 age-groups – 15 year olds & under and an Open age. This presents a challenge for swimmers to qualify so these 6 young swimmers have done exceptionally well to secure their places. The youngest member of the team is 13 year-old Olivier Vedrenne. Olivier will be one of the youngest swimmers in Sheffield and will race in the 100 and 200 metres breaststroke events. 15 year old Sacha Thomas will be competing her first Winter Nationals and races in the 50, 100 and 200 metres freestyle and the 50 metres butterfly. Sacha has recently broken the Norfolk Junior and Senior records in all four of these events. Several of the previous records stood for 33 years. This will be 15 year-old Nathan Woodrow’s second Winter Nationals. He will compete in the 100 and 200 metres freestyle, 100 and 200 metres butterfly and the 200 and 400 metres Individual Medley. 16 year-old Megan Pye will be competing in her third Winter Nationals. Megan will line up in the 50, 100 and 200 metre backstroke. She has also broken the Norfolk Junior and Senior records in all three of these backstroke events. These records also stood for 33 years. 23 year-old UEA student Rikke Nagell-Kleven will race her favourite event the 100 metres Individual Medley. Rikke is Norwegian and has been studying at UEA for 4 years. 19 year-old Jana Spinner will join the 3 other girls for the medley and freestyle relays. Jana has also recently broken the Norfolk senior record for the girls 50 metres freestyle so the relay line-up looks very promising indeed.